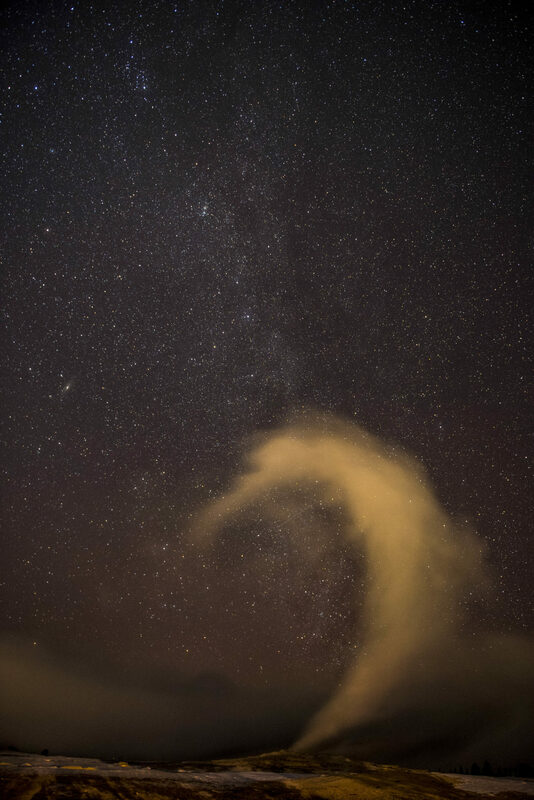 Milky Way and Andromeda Galaxy above Old Faithful with impending storm approaching. Milky Way and Andromeda Galaxy (middle left) over Old Faithful in Yellowstone National Park. An impending storm was approaching from the north east.